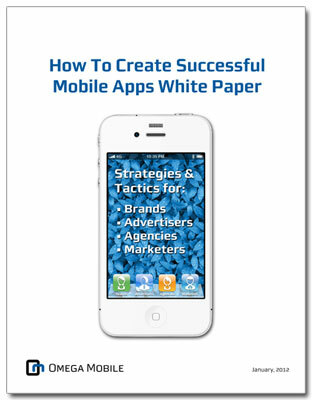 This is the second in a series of excerpts from a new white paper on How to Create Successful Mobile Apps: Strategies and Tactics for Brands, Advertisers, Agencies, & Marketers. Since an app is installed on a consumer’s device, all your functionality as well as the bulk of your graphics and content will reside on the device. This allows your app to always be available for immediate use; the consumer doesn’t have to wait for long downloads every time he wants to access your content. Today’s media-oriented consumers are accustomed to having instant access to rich media on their television sets, DVD players, video game systems, tablets, and mobile phones. Apps uphold this expectation while providing rich, customized content. If you can imagine it, you can probably create it. Mobile apps allow you to develop highly customized, rich media experiences that engage mobile users. Building audio, video, photos, graphics, and text that effectively communicate your brand and marketing message is sometimes not possible on a mobile site. 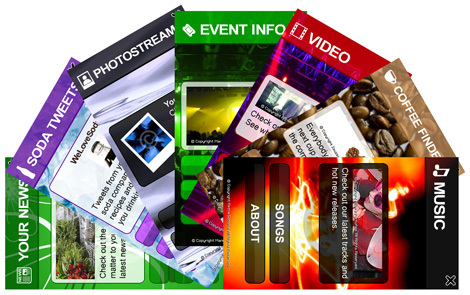 A custom mobile app is designed to incorporate all of these types of media to offer the richest experience possible. Creating your own app lets you customize both content as well as look and feel. If you can imagine it, you can probably create it. Apps offer many options for designing custom screens, functionality, and experiences. Custom apps provide the same high-quality delivery of a television commercial, video game, or a very rich online experience. Since you know your audience’s demographics, psychographics, and other characteristics, you can create apps that match your users’ preferences. Since the release of the iPhone in 2007, Apple and its competitors have added sophisticated new device functions that are now considered standard. Examples: GPS, high-resolution camera lenses, accelerometers, high-resolution touch screens, and faster processors. Brands, marketers, and advertisers can take advantage of these phone capabilities as they develop high-quality, sophisticated apps that perform like computer programs. These technical improvements provide significant marketing benefits by allowing companies to create interactive messaging that persuades the viewer to take action. Touch screens, in particular, heighten user engagement as mobile app users move their fingers across the screen. Likewise, higher-resolution displays increase user satisfaction with photo and movie media. GPS creates the potential to lead viewers right to the nearest store. Communicate a brand’s message quickly and effectively while dazzling them with richness. Due to rich media and technical advances in smartphones, brands can take advantage of high-quality graphics, photos, videos, and audio that display well on high-resolution mobile screens. Gone are the days when apps from different industries typically looked the same due to device constraints. For example, a serious financial app might have appeared similar to an entertainment app. Now, the creative possibilities are staggering. With the technical bar having been raised by Apple and other smartphone manufacturers and software developers, people now expect visually stunning mobile apps. The multimedia components in an app need to communicate a brand’s message quickly and effectively while dazzling them with richness. It’s the potential for interaction and the great content that keeps them coming back for more. 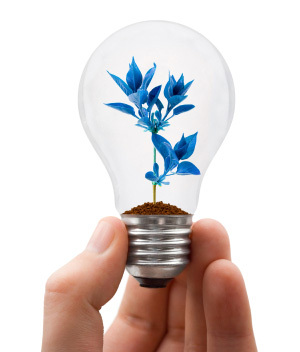 Have a great idea for a new mobile product or initiative? You won’t get very far without an equally great mobile prototype. A mobile prototype is the one chance you get to pitch your product or service – whether it’s a mobile app, a mobile microsite, or even an iframe mobile widget. A great prototype is essential to selling your clients, enticing investors, or getting approval from internal divisions on your vision. “Prototype” and “demo” are two commonly confused terms. A prototype is an early version of a product with specific functionality. A demo is a story, vision piece or demonstration of underlying functionality as opposed to being an early stage product. While prototype and demo mean two separate things, the terms are often used interchangeably. For the purposes of this post, we’ll use the term prototype. What is the purpose of this mobile product? How does it further the client’s needs? How will users interact with this product? Why do so many good mobile product ideas get shot down? The company fails to create an effective prototype. Don’t let this happen to you. Whether you need to sell your client on a mobile initiative or pitch a new product to your boss, here’s what to do. #1: Stay on Target. What will your mobile prototype accomplish? It’s all about driving business results, isn’t it? Start with your business goals and your core messaging. Everything should flow from there. Think about your client’s needs and explaining how your product will meet them. Don’t get caught up in the bells and whistles of fancy technology – stay focused on your client. #2: WIIFT – What’s in it for them? The goal of mobile prototyping is to sell your product to the client. While demonstrating new technology is fun, it’s not your final goal. Your client assumes that your technology will work. They need to be shown how the technology will benefit them and their customers. To do so, don’t ignore the user interface. Otherwise, when your prototype is sent to senior business developers for review, it will be shot down. Clearly show your client what’s in it for them. Will your product enhance their marketing efforts? Will it help them reach new customers? Show your client that you understand their challenges by demoing a solution that meets their needs. Every aspect of your prototype – including the UI – should show your client that your business is about meaningful solutions, not just fancy technology. #3: Go big or stay simple. Your mobile prototype should either look like a professional-grade product or be a simple, grey-scale wireframe. Anything in between these two extremes looks unfinished and unprofessional. Worse, customers will get hung up on color changes, logos and other unimportant details – missing the big picture. #4: Plan user flows and leverage shortcuts to demonstrate features. Map out user flow on your mobile prototype so you are not constantly bouncing back and forth between screens. Use shortcuts to demonstrate functionality and content. Animated feature sequences are an easy solution. #5: Fake it ‘til you make it. There’s no need to program everything. Use visuals to explain user flow and demonstrate functionality. Save time by demoing one feature and suggest functionality elsewhere. For example, your prototype could include five different menu items, each suggesting specific functionality. Only one of these five items needs to be active in order for your client to understand how they all operate. Unless your product is a server, there probably is no need to connect your prototype to a server. Instead, use an animated progress bar or spinning wheel as a stand-in for the connection. #6: Auto or Manual? 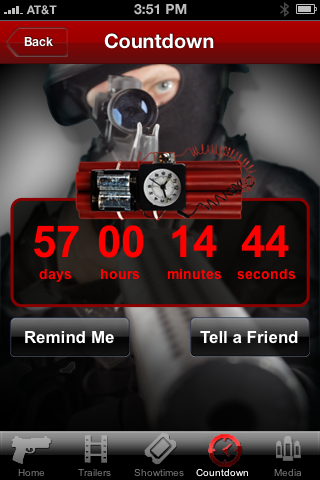 An animated mobile demo is an easy way to show how a user interacts with your mobile product. For example, you could show a finger making different selections to symbolize how a user interacts with items on the screen. Consider whether a self-running web demo or a presenter-controlled demo best meets your mobile prototype pitching needs. A presenter-driven demo, where you remain in complete control of the demonstration, is more interactive and effective. You can also do both, which is helpful if your pitch meetings are both in-person and virtual. #7: Make your mobile user interface stand alone. No handholding allowed! If your client will be interacting with your prototype, make sure the interface is user-friendly and intuitive. Be sure to test this interface in advance for unforeseen complications from user error. #8: Set up for fast changes. Pitching the same mobile product to multiple companies? Create an intelligent mobile prototype that can be easily reskinned for each client. 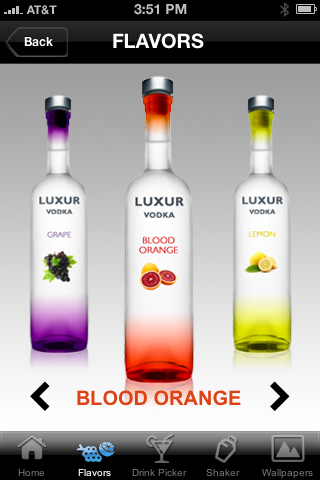 A quick swap of colors, logos, and content examples saves time and is more likely to win you the business. #9: Divide and conquer. When customizing a generic mobile prototype, keep your client’s industry in mind. Start by dividing your prototypes into verticals, such as retail, automotive and entertainment. This will make additional customization quicker and easier. #10: Sell the sizzle. Don’t overthink it. A mobile prototype is meant to demonstrate capabilities, generate conversation and spark enthusiasm. It’s not a perfect solution to meet the client’s every need. If it were, then you’d already have a finished product! Let the client get excited – your job is to translate this excitement into a successful sale. This is the first in a series of excerpts from our white paper on How to Create Successful Mobile Apps: Strategies and Tactics for Brands, Advertisers, Agencies, & Marketers. Similar to software installed on a desktop computer, Mobile apps are software that is stored and run on a mobile device. This allows the software to take advantage of the capabilities provided by the mobile device it runs on. From consumers’ standpoints, apps offer instant gratification. They see an icon for an application directly on their mobile device. When they select that icon, the application loads immediately and is ready for their use. People carry their smartphones everywhere they go. Mobile apps offer almost unlimited capabilities. As long as your targeted handsets support it, you can deliver virtually anything. This benefit, along with mobile’s highly personal nature, renders it a critical tool for marketers. People carry their smartphones everywhere they go. GPS capabilities further facilitate interaction between your message and the viewer. Plus, when you send your messages, smartphones also allow consumers to respond immediately through a simple button press. When they press it, behavioral profiles and analytics are delivered to your company. Below we’ve included some examples of content you can deliver to your mobile apps users from app installation to follow up. Keep consumers tuned to your brand by inserting standard messages, photos, graphics or videos within the app, then updating them with new information whenever you wish. Note that sending messages at regular intervals is more important than the number of messages you send. In fact, too many messages may turn off mobile app users. So always consider why you’re sending a message and its value to the receiver. Exciting new offers keep app users engaged, causing them to return to your app more frequently to check out the latest promotions from your brand. You don’t always have to offer substantial product discounts to attract users. Just send them on a regular basis and make them fun and engaging. Most people enjoy receiving discount coupons to purchase products or services. You might even try a theme. For example during holidays or special events, consider sending a coupon related to that theme. If you’re an athletic shoe company, you might send promotions tied to large athletic events. If you’re a toy store chain, you might ramp up your coupons during the holidays. Having a reason for sending the coupon makes it much more relevant to the consumer. Everyone likes viewing videos. You can use them to better explain products, services, almost anything. The key is to keep your videos concise and only send quality videos to your app users. In our age of YouTube and smartphones with built-in high-resolution cameras, app users expect and recognize quality. Today’s media-oriented consumers are accustomed to having instant access to rich media. Appropriate graphics are particularly adept at quickly and effectively communicating a brand’s image. However, if you want your mobile apps to positively reflect upon your brand and/or match existing campaigns, quality graphics are critical. They need to match the sophistication consumers have come to expect from you and your branding. You can incorporate any graphics you like, including animated ones that complement text and other content. Mobile apps allow you to develop highly customized, rich media experiences that engage mobile users. Excerpts from this white paper are being published on Omega Mobile’s Mobile Experience Design & Strategy Blog. 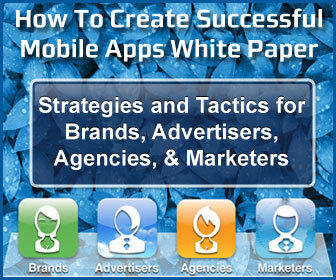 We published a white paper earlier this year on creating successful mobile apps. The white paper provides an overview of how marketers, advertisers, agencies, and brands can effectively create mobile apps to improve brand recognition, boost lead generation and increase customer engagement. The white paper also facilitates the mobile app creation process by providing easy-to-use worksheets that help with initial planning, such as evaluating apps for inspiration and setting goals and strategies. Another worksheet assists with the design phase. Others target content and social strategy development. Over the next few weeks, we’ll be releasing a series of excerpts. A recent post from Mobile Insider, called The Path to App-iness, discusses the various factors that affect an app’s success. Incorporating the findings into your mobile user interface can really boost your app’s popularity. Basically, if your app isn’t easy to use and doesn’t offer valuable content, then users are likely to abandon it. What these numbers mean is that when you’re designing a branded app or creating one for advertising purposes, you have a few slim chances to make your app memorable enough so people use it, keep it and recommend it to their friends. When designing your app feature set and mobile user interface, pay close attention to your app’s core functionality and core uses during the design phase. Good mobile design is not an after-thought. It’s as integral to the success of your app as your content and the features. Create easy and intuitive mobile user interfaces. Know the competition and make your app better. A second criteria for creating a popular app is fresh content. More than half of app users say updated, relevant content is what leads them to keep an app. When you’re designing mobile user interfaces, make sure you can quickly change and add content, and incorporate a way to notify users when new content is posted. You’ll also want to let users know how you’ll be updating content and when. This way they’ll be more receptive to your app and less likely to delete it. 38% of Users are Unhappy with Mobile Branded Apps. What can you do? A new post from MediaPost reports that nearly four in ten mobile users find mobile branded apps from their favorite brands disappointing. How can a mobile marketing and advertising app create user experiences and functionality to engage their customers? Web strategy doesn’t transfer to mobile. Brands need to expand beyond awareness and education and focus on the mobile user experience design when creating mobile branded apps. The study also showed that 70% using mobile branded apps agreed that an app that isn’t useful or easy to use contributes to a negative perception about a brand. Brands today can’t ignore critical elements of the mobile user interface design and mobile user experience design when creating an app. Close to three-quarters (73%) of users believe a mobile advertising app or a mobile marketing app should be easier to use than the company Web site. How many times have you felt confused when using a branded app? This is EXACTLY what brands portray - even to fans - when they execute a branded mobile app poorly. 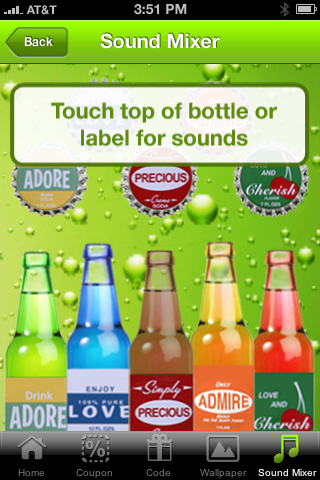 Is your branded app integrated well with your marketing campaigns across multiple platforms? Does your mobile user interface not only conform to device specific UI guidelines but exceed them? Good enough doesn’t cut it. Are you effectively communicating your message through utility or entertainment? The medium is NOT the message. The message is the message. Are you providing ongoing fresh content to drive repeat visits and encourage social media sharing? iPhone apps are everywhere – now they might be in your pile of birthday or holiday gifts. And what would be easier to give for a last minute gift? Textually.org has a post on the new gifting program for apps – a really smart use of design to enhance the mobile user experience through word-of-mouth marketing. The ability to gift an app will not only increase purchasing by viral recommendation, but it gives consumers a way introduce reluctant friends, relatives or coworkers to specific apps they like. And more obscure/unique apps have a greater chance of catching fire this way – what consumer would turn down the chance to download a freebie accompanied by a recommendation from someone they trust. A New York Times article also points out that app gifting is good news for developers. Apple provides a limited number of promo codes that can limit getting products to the reviewer community. And developers can identify evangelists, people most likely to spread the word, and seed that community with apps. I’d like to see the gift-giving ability extended to in-app purchases so additional levels or content could be given to other users. Also, for multiple gift purchases, users should be able to get a deal or discount. 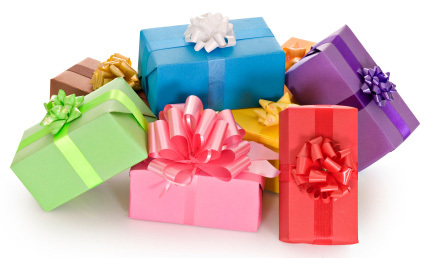 A shared wishlist would accompany gifting very well. The new “Gift This App” option is alongside the “Add To Wishlist” and “Share Via Facebook” menu items in the dropdown that appears next to the price of any app. | " title=""> | /on-this-server.-" title="on this server. Google introduced a new service for searching with gestures for Android 2.0 and above. This gesturing could evolve into some pretty cool uses and mobile user interface design opportunities. 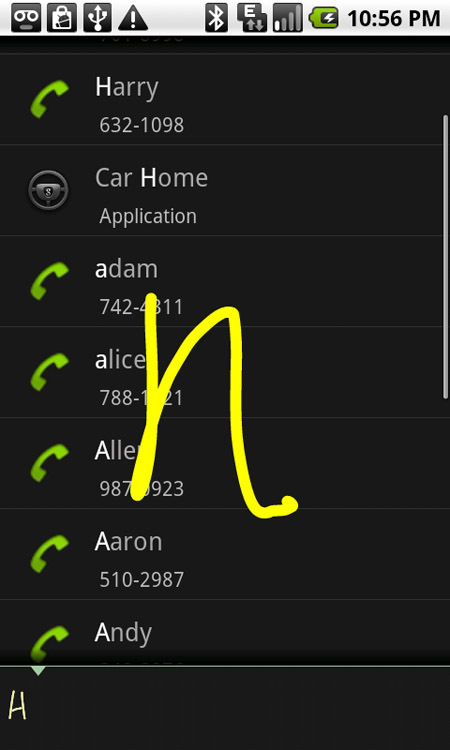 Basically, users scrawl a letter (or “alphabet gesture” as Google Labs calls it) on the touch screen to bring up a contact, app, music file or bookmark from a list of hundreds or even thousands on your Android phone. The mobile user interface eliminates the need to type in certain cases. While the gesture feature is currently for searching only, this opens up lots of possibilities for interesting mobile user interface design possibilities for Android. The API could be opened up so that anyone writing Google apps could make use of ‘common’ gestures. Universal gestures could be explored that could be used across any app. Imagine that there’s a ’send to the Google cloud gesture’ and a piece of content you’re interacting with could automatically be sent to the appropriate cloud service. For example, you receive a document, gesture it, and it ends up stored in your Google Docs. Or the ability to gesture a phone number on a site and save it in Google voice would make interacting with Google cloud services easier. I’m happy to see Android evolving and opening up the door to explore more touch based user interface design options. It’s a good time to experiment before rigid standards make their way into the mobile user interface design community.